I would not be surprised if you have never heard of Belarus. 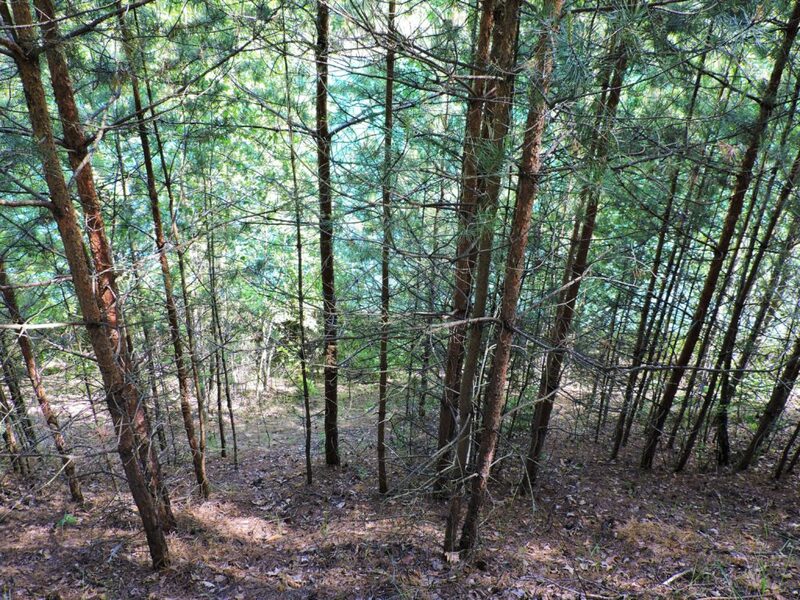 Located in the heart of Eastern Europe, this landlocked country is surrounded by Russia in the north and east, Ukraine in the south, Poland in the west, Lithuania and Latvia in the north. With its complex history, diverse geography, and beautiful architecture, Belarus is one of those travel destinations that you can explore any time of the year. 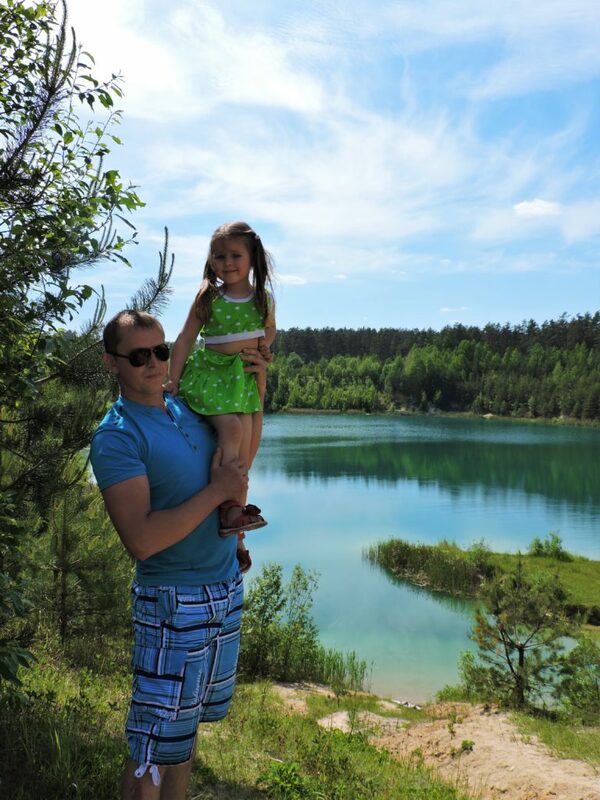 But if you visit the country in summer, do yourself a favor and stop by at Blue Lakes. 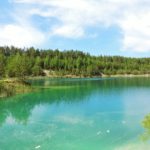 Chalky Lakes or Blue Lakes (both names have their own meanings, but I’ll explain it a little bit later) is a very beautiful and interesting place. 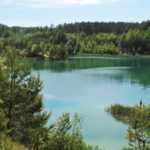 When I first started writing this blogpost, I was not sure how to describe the nature of Blue Lakes of Belarus. Cultural landscape?.. Oxford Dictionaries defines “cultural landscape” as “a landscape modified by the effects of human activity, such as farming, building, etc. 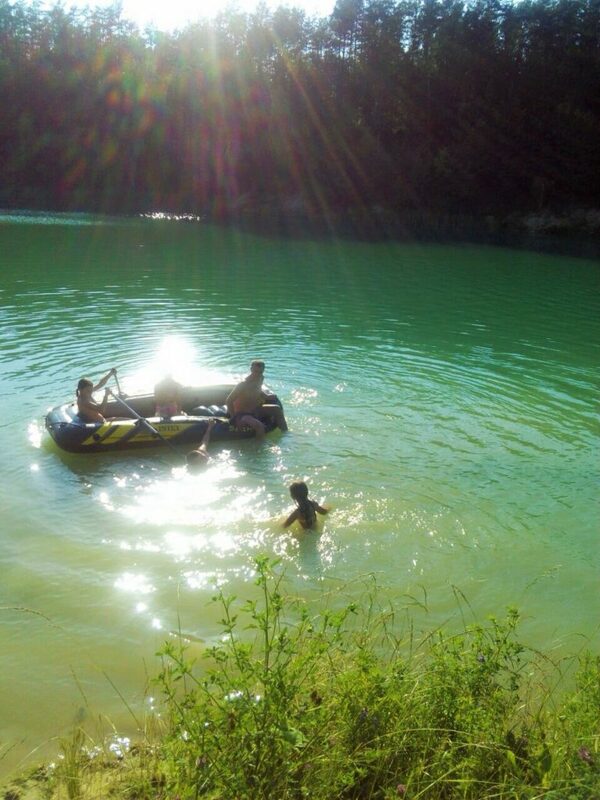 (as opposed to a natural landscape).” By now, I am convinced this is the best explanation for this type of lakes. 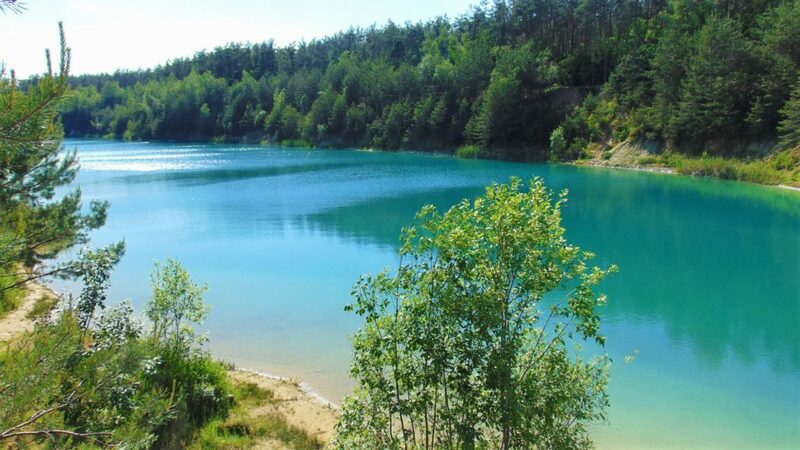 Belarusian Blue Lakes started their existence by mere accident. Over 10 years ago, digging gravel for construction took place in this area. Somehow, the workers miscalculated the depth of the pit and dug it way too deep. The water came out and filled up the pit. Unfortunately, the digging activities had to be stopped and never resumed. The place, however, slowly but surely, turned into a local phenomenon. Thus, one human mistake gave life to three beautiful lakes with such blue waters that they almost leave you speechless. 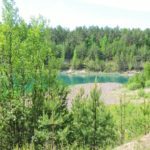 Let’s go back to the question about the names of the lakes. 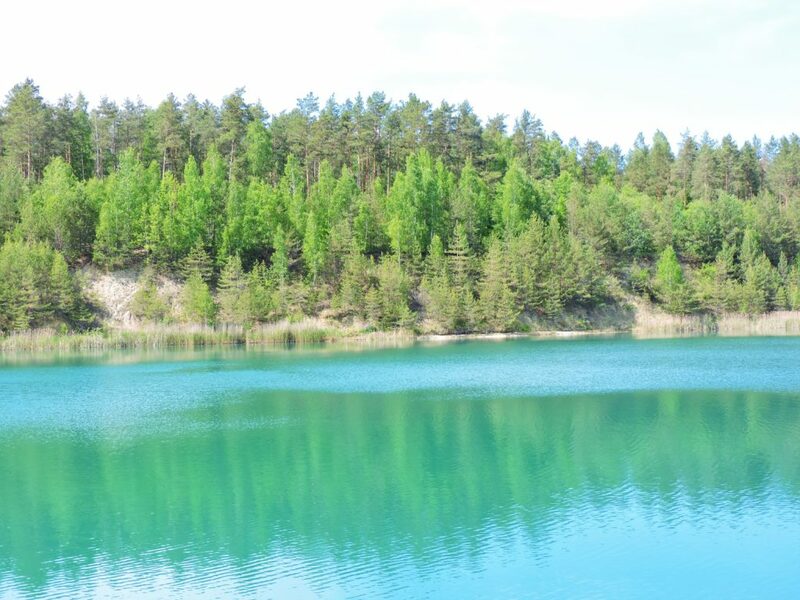 Distinguishing, blue color of the water gave Blue Lakes their first most used name. 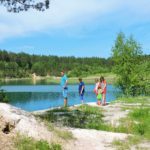 The second name, Chalky Lakes, comes from the fact that this area is rich in chalk and white clay, which keep the water very clean. And people know exactly what to do with this highly beneficial white clay. When visiting the lakes, do not be surprised to see vacationers on the shores completely covered with the clay. Why not? You can get benefits of super expensive spa treatments for free, after all. Make sure to bring your own equipment. There are no rental places around. you made blogging look easy. The full look of your site is fantastic, let alone the content material! this color is out of this world!!!! !